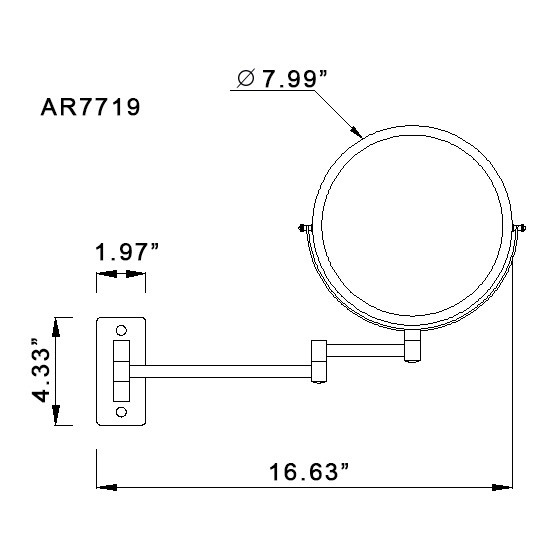 This extendable mall mounted mirror features a double arm and is made out of high-quality brass. 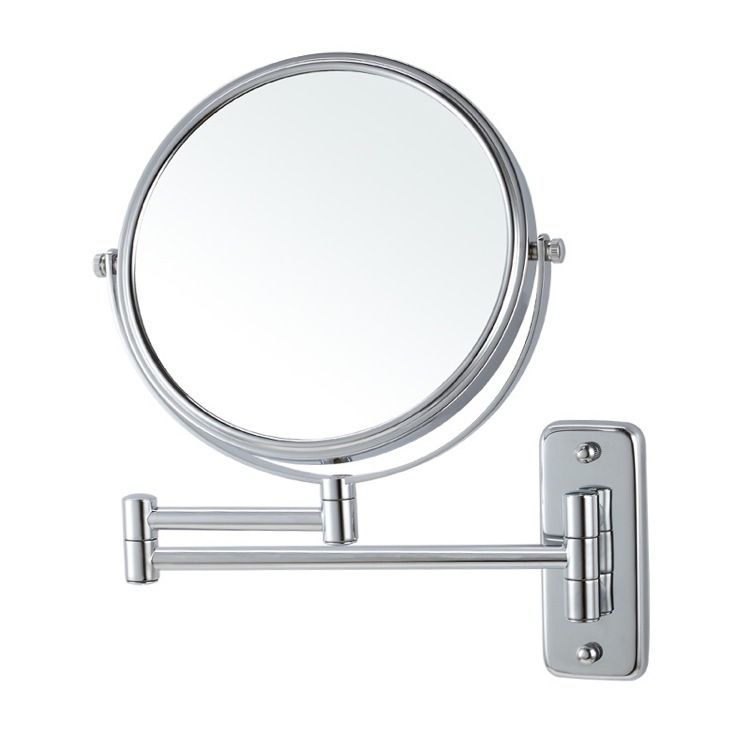 Available in chrome or satin nickel finishes, this double faced mirror features 3x magnification. With 8" round mirror face, its trendy round shape and sleek design makes it a fine addition to your contemporary bathroom.